Not quite vegetarian, not quite vegan, but entirely invigorating; a demonstration of the heights humble produce can reach in the hands of a great chef. 2018 Update: Céleri is now PERMANENTLY CLOSED. When a chef whose CV glitters with Michelin stars decides that what he really, really wants to do is cook simple vegetable dishes, it’s understandable that some eyebrows might be raised. Especially in Spain and Catalonia, where there is a relatively limited understanding of vegetarianism and veganism. Many traditional vegetable-based dishes exist (think espinacs a la catalana, escalivada, gazpacho, tortilla de patatas…) but they’re usually found within fork-reach of some bits of pig. But Xavier Pellicer has form when it comes to breaking with expectations. When the iconic Can Fabes restaurant closed, he went off the haute cuisine piste and started as a consultant chef for the Tribu Woki group at their simple rice-and-fish restaurant Barraca. Woki are also behind his new venture, Céleri, which is downstairs from one of their ‘good fast food’ organic restaurant-delicatessens. Céleri opened this year on Passatge Marimon, a small street that is already home to both Hisop and Coure, but with a very different concept. The menu is based around various vegetables, each presented in three dishes: one vegetarian, one vegan and one for omnivores, plus a few standalone organic meat and wild fish dishes. Céleri’s snug downstairs area is all light bricks and sheet glass, allowing diners – often on communal benches – to watch the brigade at work in the gleaming stainless-steel open kitchen. That’s not uncommon; what’s different is that the role of the cooks extends beyond the kitchen: each dish is brought out and explained by the chef who prepared it. Some cooks are clearly happier chopping than chatting but it generally works well, allowing them to share their knowledge and letting food geeks like me ask questions that waiters wouldn’t be able to answer. The two front-of-house staff taking orders and bringing drinks during my visit were excellent. Relaxed, welcoming, expansive and attentive, they switched from language to language as they moved around the room, doing a good job of pairing the organic and biodynamic wines on offer. The atmosphere is sleeves-rolled-up and casual but also comfortable, and the restaurant soon filled up with customers who were clearly having a good time. The dividing line between starters and ‘main’ courses is blurry, as mains are small, with the idea being that you order about three of them. All are priced around €8-€12 except for a few separately listed meat and fish dishes at €13-€18. Overall, expect to spend €40-€50 per person, drinks included. Cumin-dusted bean-flour papadums were followed by celeriac cooked at low temperature then finished in a pan, with lemon and butter meunière sauce and some splodges of a subtle date purée. A gazpacho of beetroot and tomato with a flavour as fresh and vibrant as its colour. The celeriac had caught our attention but this made me and my wife sit up straight. What was going on here? It was only the second starter and we were already duelling with spoons to get the last scrapes off the bowl. Baked cabbage is not the most glamorous of dishes. It does not lend itself well to being photogenically sexed-up, and yet the beautiful brassica triangles that arrived, drizzled with a mild mustard oil and topped with radish and pickled onion, were dainty and delicious. They unfurled into ribbons, revealing a hint of fermentation and a delicate balance of oil and vinegar. Napolitan flavors of basil, capers, anchovies and mozzarella foam lifted an already-stellar heirloom tomato to a heavenly level. Courgette flowers, stuffed ratatoille and olive paste, on red pesto. Like most that went before and after, the precision of the cooking, the balance of the flavours and the quality of the produce was impeccable. Spinach with parmesan, capers, spring onion and parmesan. The mushrooms were a hard act to follow and this fell short but it provided a clean, simple contrast. We were happy to keep ploughing the vegetarian furrow but our server, Albert, made a convincing case for a cod dish. It came with a whole egg yolk and cauliflower purée, and we mixed it table. What looked like a gluey, heavy mayonnaise was in fact unsticky and light, slipping down easily with the (only slightly salted) cod. It was enjoyable but probably the least-impressive dish of the meal; that’s more a reflection of the standard set by the others than of its own merits. Torrijas – a kind of Spanish French toast, if that makes sense – with coconut and rice-milk sorbet was, and I quote my notes here, “bloody marvellous”. Perhaps the wrong adjective, given the semi-vegetarian vibe here but certainly the right sentiment. My meal at Céleri was exceptional. I came into the restaurant feeling jaded but I had an enormously good time. Making vegetarian and vegan food of this standard is even more difficult than hitting the same heights with the help of meat and fish. Céleri succeeds with style. There’s no feeling of anything missing here; these dishes celebrate great produce, putting it in the spotlight and revealing just how impressive it can be. Meat and fish are on the menu of course, but they are not the stars. Restaurant descriptions like ‘healthy’, ‘fresh’ and ‘light’ can sometimes denote worthiness being put ahead of deliciousness. That’s fine for home cooking but it’s not necessarily what I want when I go out to indulge myself. But done like this? Yes please. I left the restaurant feeling well-fed but also invigorated, not weighed down. I was still thinking about some of the dishes days later and planning a return visit. Céleri also impressed with its service. Casual can often mean chaotic, but this was an easy-going, relaxed environment with deceptively disciplined staff. Céleri might well be my favourite new Barcelona restaurant to open in 2015. 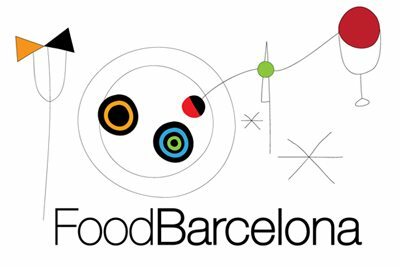 Find Céleri on the FoodBarcelona restaurant map.